IWC nail it with a new tribute piece, the IWC Portuguese Automatic Edition "Tribeca Film Festival 2013" - the Scaffhausen company are partners with the festival, hence the celebratory timepiece. 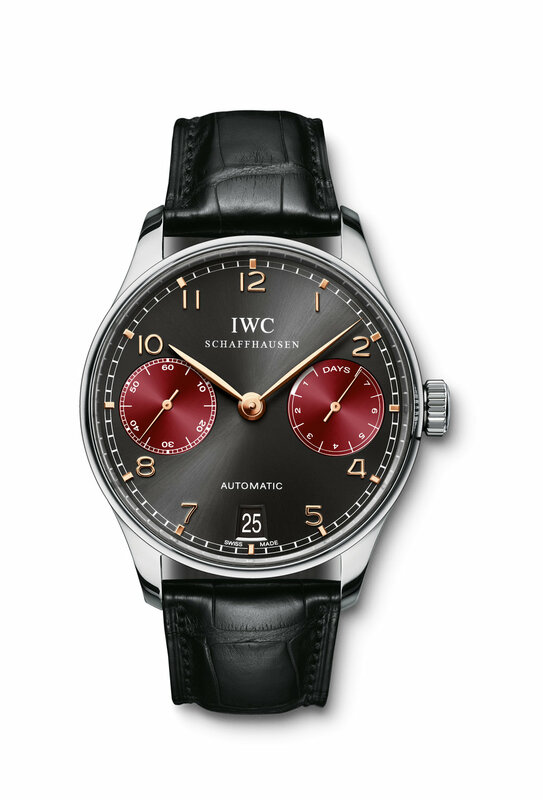 IWC are well known to be a benevolent watchmaking company. We reviewed their 2013 Laureus Edition watch, complete with a magnificent blue dial only last week and it was quite a beauty.... but this one is totally delicious in every way - so much so that to release it as a "Piece Unique" is wasteful in the extreme - it would be outrageous if its handsome face does not find its way into IWC's portfolio in a more attainable guise at a later date. So - what makes this one such a corker? The platinum case? - 'tis a "Portuguese" rarity to be sure. The slate dial? The rose gold details? The Bordeaux subdials? All are meritorious. All combine and add to the resplendency of its dial. The Portuguese lends itself to such a makeover with finesse because it is already an impeccable timepiece. There is equipoise in its arrangement, an abundance of empty dial space to enjoy and a certain mannerliness in the diminutive proportions of its numerals. Inside this piece is the automatic IWC Calibre 51011 and, with a nod to its ceremonial beneficiary, its rotor is engraved with the festival's logo. The one of a kind IWC Portuguese Automatic Edition "Tribeca Film Festival 2013" will be auctioned by Antiquorum on April 10th. More details at IWC. And more IWC from TheWatchPress.com including last year's precision Pilots and this year's ingenious Ingenieurs.